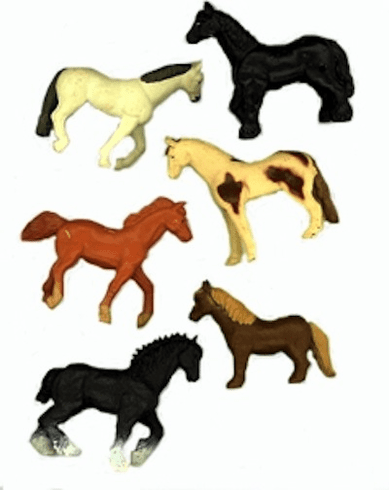 These handsome solid vinyl horse figures have detailed painting and texture. They measure a tiny 1.75 inches, and come in an assortment of 12 different styles. Price per horse.